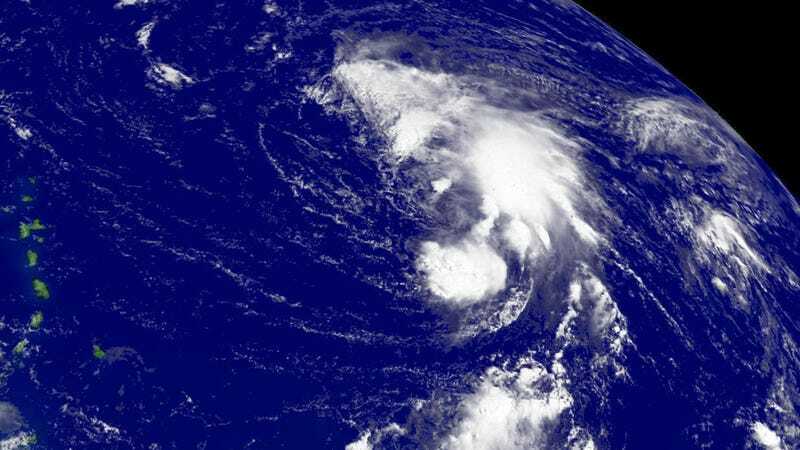 A satellite image of Florence over the Northern Atlantic northeast of Barbados. 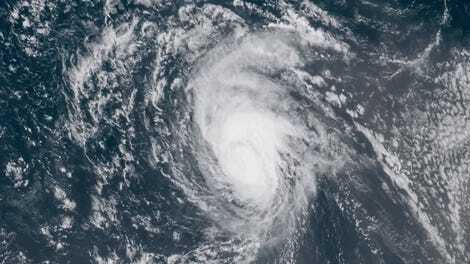 Florence was some 1,500 miles away from the East Coast and moving west at roughly six miles per hour on Sunday morning, according to CNN. It’s projected to pass between the Bahamas and Bermuda on its way to land. According to CNN, weather experts say the storm is most likely to hit in the Carolinas. However, the Washington Post noted that the hurricane’s exact placement is “within a large cone of uncertainty” and residents anywhere from “Florida to southern New England” should be aware of the storm’s progression. The Post’s weather team noted that Florence will pass over oceans that are warmer than normal, which will provide fuel and “favors at least a Category 3 hurricane landfall on the Southeast coast by week’s end” (emphasis theirs). It’s possible it could become a Category 5 storm. As Earther noted on Friday, this course is unprecedented. Almost all of the 57 named storms that have passed within 200 miles of Florence’s position at that time have curved out to sea, other than a handful which slammed into the Dominican Republic.